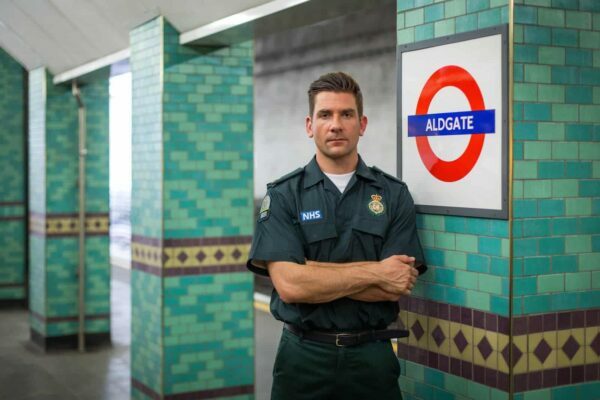 Traditionally, the vast majority of doctors and nurses in the UK have spent their entire careers working within the confines of hospitals and clinics or in the case of paramedics out on the road. But, spurred on by increasing pressure within the NHS and looking for medical experience elsewhere, medical professionals of all ages are looking to broaden their horizons and work in more unusual areas and adventure medicine is one such area. World Extreme Medicine’s Expedition and Wilderness Medicine course in Keswick, Cumbria from 19 to 22 March 2018 will see a group of medics from across the UK hone the skills that will help make them integral members of teams providing advanced medical care in remote areas. The format of the course – which combines lectures with practical learning – will push attendees mentally and physically over four days, which will culminate in a large-scale search and rescue exercise in the famous Lake District landscape. Although it takes place in the UK, the four-day crash course will give participants a grounding in a number of different areas of non-hospital medicine that are useful on different sorts of expeditions: tropical medicine, hot and cold-weather medicine, altitude medicine and diving medicine. They will also cover areas like team leadership in extremes, communications systems and pre-expedition planning and casualty evacuation, which they may be unfamiliar with. The course will be led by Eoin Walker, a London HEMS Paramedic and UKMED Team Member whose career has taken him to Malawi, Costa Rica, the Arctic, Asia and the Slovenia, and whose experience in Pre Hospital Medicine, Humanitarian and Disaster Medicine will be invaluable to the course attendees. Eoin said, “The Expedition and Wilderness Medicine course is a first step for any medical professional who is considering a career outside of a traditional hospital environment. “Attendees range from those who are curious about different sorts of work within the medical sphere, to those who are already decided on a portfolio career in extreme environments, to more experienced expedition medics. “As the human race pushes into more of the world’s inhospitable places in search of natural resources or enjoyment, or in the name of science, there need to be doctors who can follow and keep people safe. Mark Hannaford, founder of World Extreme Medicine, said, “Every extreme medic starts somewhere, and we may just find that the time in the Lake District ignites the expeditionary spark in some of the attendees. The Expedition and Wilderness Medicine Course costs £895 including VAT and includes the cost of accommodation and catering. Further Expedition and Wilderness Medicine courses will take place in Plas y Brenin, Wales on 14 – 17 May and Lake Bohinj, Slovenia on 1 – 5 October 2018. Theo was one of the original founding faculty for the gold-standard Expedition Medicine course based just outside of Keswick. Should helicopters have a hoist or ‘long-line’ capability to perform mountain rescue in the UK? Expedition & Wilderness Medicine faculty member Dr John Ellerton discusses in the BMJ mountainside helicopter evacuation capabilties. Objectives. To determine how far mountain rescue casualties in the UK have to be carried and the impact of adding a hoist or ‘long-line’ to helicopters operating in this environment. Design Retrospective analysis of mountain rescue incidents. Setting. Pre-hospital, mountain rescue service based in Patterdale, English Lake District. Participants. Casualties between 1 January 2006 and 31 December 2008 that required stretcher evacuation. Casualties directly accessible by a road ambulance were excluded. Main outcome. The horizontal and vertical distance of the evacuation route to an agreed helicopter-landing site, and its technical character. Direct access to the incident site by a helicopter with a hoist or long-line capability was determined. Results. 119 casualties were identified. The median horizontal and vertical evacuation distances were 250 m and 30 m respectively. The proposed manual carrying distances were #100 m in 33/119 (28%), between 101 and 400 m in 60/119 (50%) and >400 m in 26/119 (22%) of casualties. 13/119 (11%) casualties were in a position where direct access to the incident site would not have been possible with a helicopter equipped with a hoist or long-line. 31/119 (26%) casualties required a technical evacuation with the use of ropes. Conclusions. Using the criteria that all casualties requiring a technical rescue or >400 m evacuation route to an appropriate helicopter-landing site, 34% of casualties could have been rescued using a hoist or long-line with an expected reduction in the pre-hospital time. Helicopters working in UK mountain rescue should be equipped to international standards. The Keswick EWM course was fortunate to receive a visit from ITV Borders and their roving reporter John Bevir. Firstly thank you to all of you who applied to the September internship. We a huge amount of interest and all were strong candidates from a large number of UK universities with a fantastic mix of experiences and skills. It is hugely encouraging to see that so many medical students are developing their skills early and are well on their way to be the expedition medics of the future! 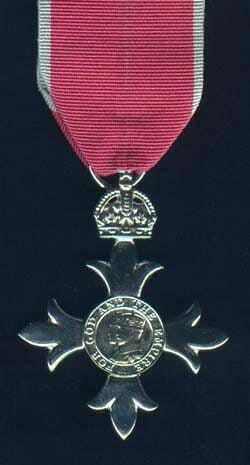 I am thrilled to announce that Andrew Cumpstey has been selected by the Expedition & Wilderness Medicine team to be the intern for Expedition & Wilderness Medicine’s UK Course in Keswick, Cumbria (12 September 2011 to 15 September 2011). Andrew is a final year medical student at the University of Oxford who caught the Expedition & Wilderness Medicine Team’s attention with a very clever and witty application in the style of a presenting history. For those of you reading this and thinking you would like a go! We encourage you to submit your entries for the March UK course 2012 competition. The closing date for this is on Monday January 2nd 2012. We look forward to sharing Andrew’s thoughts on his intern experience with you after the course and I am sure you will all join us in congratulating him! Some people says the nicest things about our Expedition and Wilderness Medicine courses!! Our recent Keswick based Expedition and Wilderness Medicine medical training course generated some amazing feedback with 100% of the delegates rating it ‘excellent’ or ‘really very excellent’. The next Expedition and Wilderness Medicine is running in the National Mountain Centre in Plas y Brenin from the 16 – 19 May, contact Catherine at admin@expeditionmedicine.co.uk to secure your place or book online through our lovely website! Blue sky. Stunning landscape and 63 medics. The first of the 2011 UK Expedition medicine courses encompassed all of these during its four day run in March two weeks ago. It was an absolutely beautiful setting in BarrowHouse Youth Hostel overlooking Derwent Water and surrounded by enticing Lake District scenery. With a combination of lecture based and outdoor practical sessions, the course covered an array of all possible expedition medicine topics one could want, and the team ensured each day started with the development of a very new – albeit pretty useless – lifeskill – whether this be the art of balloon racing, the speed of penguin racing or the logistics of passing the hand squeeze……! The four days aimed to have a balance of both the academic nature of expedition medicine – be it diving physiology, tropical medicine, legal aspects, heat – and the practicalities of expedition medicine – be it lateral thinking , communication skills, rope skills, improvised stretchers, pre- hospital wilderness resuscitation, radio use, voice procedure, extricating a casualty from a vehicle or search and rescue techniques – which it seemed to achieve successfully aided by a wonderfully diverse and experienced faculty. Plus some great socialising and networking over a beer in the shadowed hills of the Lakes. So a great course, one we hope was inspiring , and the start for many of a journey into a fantastically challenging, diverse and thoroughly exciting world of expedition medicine…..
Medical Director at Expedition and Wilderness Medicine and Pre Hospital Care Registrar with Kent HEMS talks about the benefits and opportunities in pursuing a line of training with the sub medical speciality of Expedition Medicine. Our flagship course in Keswick went well this month. We had 60 participants who experienced the full range of Lakeland weather during their time in Keswick. Once again, Barrow House YHA hosted our course with excellent food, service and an amazing location. Whilst the programme remains broadly the same we invite new evening lecturers in and we vary the faculty. Nigel Harling did a fine job of the communications lecture and we welcomed back Dr Lesley Thomson for the diving lecture. Our days are always a combination of indoor sessions, which include lectures, small group discussions or work groups and outdoor simulations or practical sessions. On day-1 the afternoon was a round robin of 4 mini-teaching sessions including RTC management, fracture immobilisation; wound management and managing altitude sickness. Ben Cooper ran the wound management and has developed the session into an interactive and engaging session where there are plenty of photos and bits of kit to get hands on. This went down well with all involved. Participants were pleased to hear from Carolyn Henry from Raleigh who came up for an evening and told us about her experiences and how she had gone from being a delegate on one of our courses years ago to be Raleigh’s medical coordinator. Many of us at Expedition Medicine have history with Raleigh and we still see them as a great place to begin ones expedition career. The highlight of day-2 is the safety on steep ground afternoon; students learn how to coil ropes, set up safe anchor points and lower colleagues off steep cliffs and drops. Also covered is the reality of improvising a carrying mechanism for various injuries. Nigel Harling from BSES, British Schools Exploring Society, came in to explain how willing medics can travel with them and he then went on to entertain the audience with his tales of daring do and high adventure from his past and present expeditioning days. It was a memorable evening lecture and one we shall, no doubt, ask him to do again. Day-3 has a very specific environments feel covering hot, cold, tropical, altitude and diving medicine and then closed with an excellent talk Sarah Outen. Last year Sarah rowed solo across the Indian Ocean and she told us of close encounters with whales, albatross, shops and freak storms which threatened to ‘munch her in their fangs!’ It was an inspirational talk and we wish Sarah luck on her next adventure where she intends to circumnavigate the globe by Sarah power. The final day scenario saw the successful rescue of 6 casualties from various locations on the hill side and the arrival of the Mountain Rescue Landrover, the crew demonstrated how they would package up a casualty in one of their onboard stretchers for transportation to hospital. This looked like a somewhat more comfortable option than the rope stretchers our willing participants constructed to collect and transport their casualties. All casualties and participants safely back to the hostel in fine weather and the final session discussed next steps and further opportunities. We staff thoroughly enjoyed ourselves and we hope the participants did too. Until next time we wish all Expedition and Wilderness Medicine graduates all the very best and we look forward to seeing you on future courses. Expedition and Wilderness Medicine support for Commonwealth Championship for Mountain Running and Ultra Distance. Expedition & Wilderness Medicine are to provide the medical cover for the Commonwealth Championship for Mountain Running and Ultra Distance. The events will run over four days in September 2009, and Keswick has been chosen as the venue. Expedition & Wilderness Medicine Director, Dr Sean Hudson is acting as the Medical Director for the event and overseeing the medical care for the many international and local competitors who will be involved in a number high profile races. In conjunction with Across the Divide they will be managing the medical logistics and communication for the event. 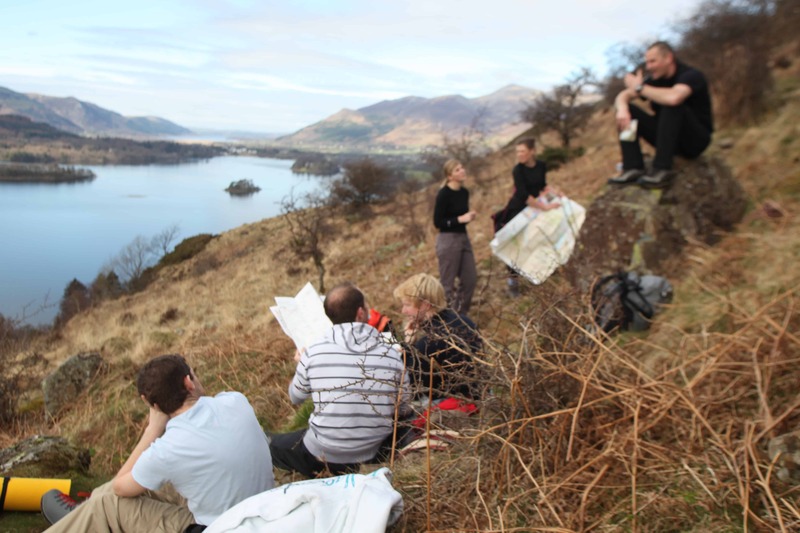 The Expedition Medicine course in Lake District works on skills neccesary for providing remote medical care.